Hall (1796-18xx) used this address between 1848 and 1858. William Hall was one of he most important flute makers during the second quarter of the 19th century. Hall was much more than just a flute maker , as he was an important dealer of other musical instruments and was a publisher. Hall worked for flute maker Edward Riley and married on of his daughters. After a brief stay he joined with John Firth to start the company Firth % Hall. In 1833 they joined with Sylvanus Pond and formed Firth, Hall & Pond. In 1847 the firm became William Hall & Son. 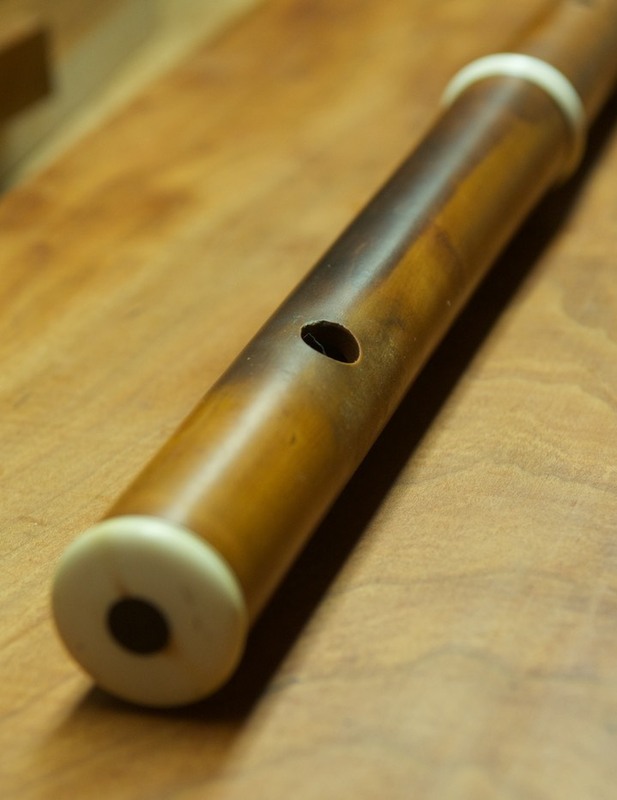 Notes: A flute in the English style and similar to the flutes of Firth, Hall, & Pond. This is quite a good playing flute throughout its range. The tuning is better than many similar flutes. 3rd octave D is rather sharp as is a fairly common issue.